Buffeted by sliding profits and emboldened competitors, mighty Samsung Electronics is looking unusually vulnerable these days, but analysts say its financial muscle and product diversity make "crisis" talk more than a little premature. The South Korean behemoth, which is also facing a once-in-a-generation leadership change, reported a near 50-percent plunge in third-quarter net profit Thursday, following a 20 percent drop in the previous quarter. The nosedive was all the more dramatic because it came after several years of stellar growth and a seemingly endless succession of record quarterly profits for the world's largest smartphone maker. Just as it had driven the rapid profit expansion, it was the performance of the company's mobile unit that accounted for the sudden reversal in fortunes. While its flagship Galaxy S smartphone suffers in the high-end market from the popularity of arch-rival Apple's new iPhone 6, its dominance of the middle- and low-end handset segment is challenged by Chinese handset makers such as Huawei, Xiaomi and Lenovo. "Suddenly, Samsung finds itself sandwiched between Apple and the Chinese makers," said Lee Min-Hee, an analyst at IM Investment and Securities. For the moment, Samsung is still the comfortable leader by sales volume, but its share of the global smartphone market has fallen from 35 percent a year ago to just under 25 percent, according to Strategy Analytics. The star performer in the third quarter was Xiaomi, which took the number three spot behind Apple with a near 6.0 percent market share. Mainland China is the world's largest smartphone market, and Xiaomi's cheap, feature-packed handsets had already ousted Samsung as the top seller there in the second quarter. "There's really an urgent need for Samsung to beef up its mid- and low-end lineup for emerging markets—a job it hasn't done so well so far," Lee said. In a conference call with analysts on Thursday, Samsung executives promised to "fundamentally reform" the handset product portfolio for every tier, with a focus on the low-end segment. 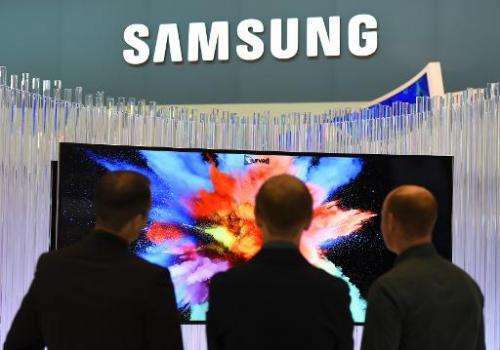 Lee Seung-Wo, an analyst at Seoul-based IBK Investment and Securities, said Samsung was more than capable of making the necessary adjustments—although it will not happen overnight. "Samsung is a giant that makes a million smartphones a day, so naturally it takes quite a bit of time to steer the ship in a different direction and make it sail smoothly again," Lee said. A more fundamental restructuring is assumed to be in the pipeline, with control of the family-run conglomerate's main business expected to pass from ailing patriarch Lee Kun-Hee to only son Lee Jae-Yong. Needing cash to pay what will be a massive inheritance tax bill, Lee and his siblings are expected to pare down and simplify the byzantine system of cross-holdings that link the many branches of the Samsung empire. 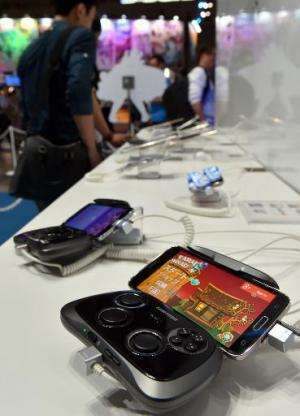 The anticipated reforms have helped keep Samsung on the "buy" list of many analysts, despite the recent profit plunge. The far-flung, multi-headed entities that make up Samsung earn a collective revenue equal to around 20 percent of South Korea's annual economic output, and this diversity is a key strength. Unlike Nokia or Blackberry, there is a life after smartphones for a company that is also the world's largest maker of flat-screen TVs and memory chips. The mobile division had been the most profitable since 2011, but the recent slump saw that position retaken in the third quarter by Samsung's semiconductor business, which logged 10 percent profit growth thanks to brisk sales of NAND flash memory and DRAM chips. The vice president of the semiconductor unit, Baek Jee-Ho, said an ongoing race by low-end smartphone makers to upgrade features and performance promised to pay high dividends in future chip sales. "I see far more demand for our DRAM chips next year as minimum memory capacity for low-end smartphones keeps growing," Baek said in Thursday's conference call. 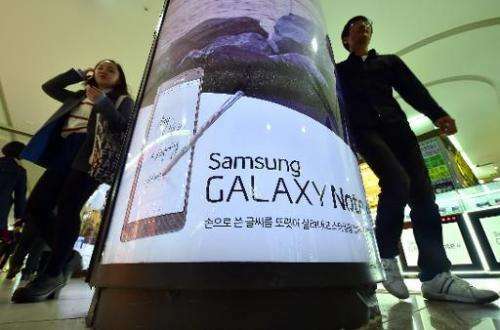 Peter Lee, analyst at Woori Investment and Securities, said the semiconductor market could do more than just tide Samsung over the smartphone hiccup. 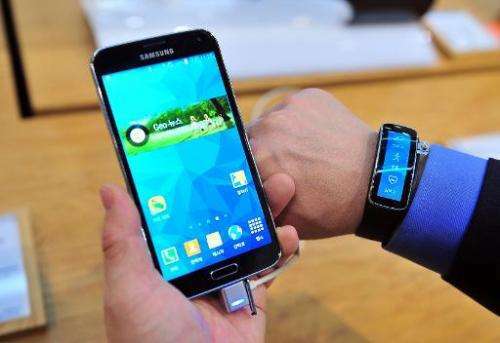 "I think, beginning 2015, Samsung will become more a memory chipmaking company than a smartphone company," Lee said. And if the stunning growth rates of the past few years are unlikely to be replicated anytime soon, Samsung is a long way from going into any sort of terminal decline. "The stellar years of 2012 and 2013 were highly abnormal," said Greg Roh, analyst of HMC Investment and Securities. "What we're really seeing now is things going back to normal."